Flowers for mum this Mothers' Day? Give her a pot of flowers that will never die. 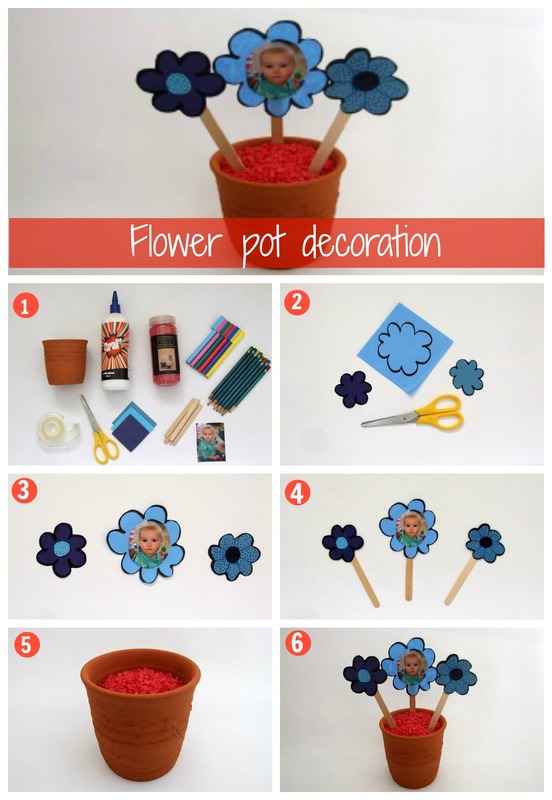 These flowers can be decorated with pictures, stickers and love! Follow our simple instructions and put a smile on her face. Step 2. Draw up three flower tops on your coloured paper and cut them out. Step 3. Cut your photo out to fit on one of your flowers. Stick it on and decorate the other two in any way you like. Step 4. Stick your flower tops onto the popsicle sticks. Step 6. Stand your finished flowers in the pot and it is ready to give to Mum. Notes: Pretty up your pot with a ribbon tied around it. You may also like to colour your popsicle sticks a green colour for the stems.